As U.S. policymakers become increasingly uneasy about the fate of the remaining detainees currently held at Guantánamo Bay, greater attention is being paid to so-called jihadist rehabilitation programs that have been established abroad. Numerous governments, including Saudi Arabia, Yemen, Singapore, Canada, and Britain, have established programs that seek either to rehabilitate Islamist terrorists or to prevent further radicalization of jihadist sympathizers. Different states tailor their programs to the mores, laws, and needs of their societies. Muslim-majority countries concentrate on radicals who have either crossed the line into actual terrorist activities or who are active members in Islamist organizations deemed to be a threat to the state. Western initiatives focus instead on individuals who may seek camaraderie with extremist groups online or at local mosques; their programs seek to forestall further radicalization. While there is a clear divergence in approach, both must answer the same question: Have their efforts been successful or have they merely released detainees into their respective societies who feign detoxification but whose commitment to jihad has merely gone underground? The wrong answer to this question poses a serious threat to global, as well as local security. A detainee in the U.S. 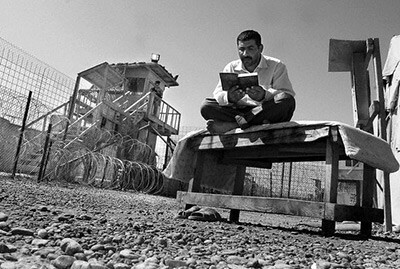 Task Force 134 program in Iraq reads a Qur'an. Task Force 134 offers more than the theological debates upon which other rehabilitation programs depend. Alongside religious discussions conducted by U.S.-vetted Iraqi imams, Iraqis are taught to read and write, enabling them to read the religious texts for themselves for the first time. U.S. authorities claimed a recidivism rate in March 2009 of about 1 percent. Photo by Jeffrey Azarva. In 1997, Egypt became the birthplace for a new approach to counterterrorism when it allowed imprisoned members of the Islamic Group (Al-Gama'a al-Islamiya or GI), a violent offshoot of the Muslim Brotherhood, to meet and reevaluate their core ideology, hoping they might renounce violence as the parent organization did in the 1970s. That year, imprisoned leaders issued a cease-fire, and a few years later, after consulting with Islamic scholars from Al-Azhar University, high-ranking members of the organization released twenty-five volumes of revisions to their philosophy, entitled Tashih al-Mafahim (Corrections of concepts). The revisions, for example, argue that Islam does not permit killing or terrorizing non-Muslim civilians and discusses the dangers that Al-Qaeda poses to Muslims worldwide. The group was also permitted to keep its leadership within the prison in the hope that once senior members renounced violence, they would help convince others to follow a more moderate path. In 2007, imprisoned leaders of the Egyptian Islamic Jihad (Al-Gihad al-Islami al-Masri or GIM), another violent Islamist group founded in the late 1970s, followed in the footsteps of GI by instituting what they called their own "collective reform." With the support of Egyptian security authorities, incarcerated GIM leaders, including founder Sayyed Imam al-Sharif (aka Dr. Fadl), were allowed to hold meetings with other imprisoned members. In May 2007, Sharif publicly condemned violence using the pages of the influential London-based daily, Asharq al-Awsat to make his announcement. In response, prison security authorities began to separate those prisoners who objected to this new initiative from those willing to follow Sharif's path and renounce violence. By encouraging extremists to reevaluate their groups' ideologies, Egyptian authorities were able to get leaders of GI and GIM ostensibly to revise their strategies and steer members away from violence. At the same time, allowing the leadership to stay intact may have helped legitimize these groups and their messages. Over the years, however, these groups have splintered into factions, some of which refuse to acknowledge these nonviolent reforms. For example, prominent Muslim Brotherhood member Essam el-Erian, who had apparently wearied of reform initiatives for not providing solutions to members waiting on real-world reform, complained: "We welcome these revisions because we have called for many years to stop violence … But these revisions are incomplete. They reject violence, but they don't offer a new strategy for reform and change." Although Egypt's counter-radicalization program has been called "the most extensive of any Arab country," accurate recidivism rates for formerly imprisoned members of these terrorist organizations are hard to come by. One source notes that the program has not been "actively pursued." Meanwhile, the Egyptian government has released hundreds of prisoners whose once-militant leaders renounced violence. It is far from clear whether these jailhouse conversions are part of a collective effort to fake cooperation and ensure a quick release of members or whether they are sincere. Despite this, other Muslim-majority countries are now following the Egyptian example, using counselors and clerics to de-radicalize terrorist detainees and trying to make sure that the "right" message is taught. Yemeni judge Hamoud al-Hitar began visiting radical Muslim prisoners held in Yemeni detention centers and engaging them in theological debates as early as 2000. In 2002, he was named head of the Dialogue Committee, an initiative called for by presidential decree, with a brief of rehabilitating imprisoned jihadists. With ideology at the core of radical organizations, Yemeni officials thought that by dialoguing and correcting beliefs, violence would be rejected by inmates once freed. The committee planned on selecting a small group of prisoners, questioning them about their views on Islam, and challenging them to use Qur'anic texts to justify their resort to violence. The results of the program have been poor, with Yemeni president Ali Abdullah Saleh admitting to only a 60 percent success rate. Yemen has released five hundred prisoners, and many are known to have returned to their violent pasts, making it one of Al-Qaeda's top countries for recruits. The ineffectiveness of the Yemeni initiative lay in the ease with which detainees could go through the motions of de-radicalization by signing a slip of paper, being granted their freedom, and only being required to check in regularly with their parole officers. Dozens have returned to violent jihad and have been recaptured by U.S. forces; the program has even become a joke among detainees. As one detainee interviewed by Newsweek put it, "To be frank, everyone was making fun of [Judge Hitar]." The program was forced to shut down in 2005, but Yemen is now being pressured by U.S. counterterrorism officials to create a new facility for detainees returning from Guantánamo Bay (nearly one hundred of the approximately 229 remaining detainees are from Yemen). However, President Saleh refuses to commence construction on a center without U.S. funds; he has claimed he was promised $11 million for the center. According to one source, the prisoners in the original program saw it as an insincere attempt to bolster Yemen's reputation as a country tough on its terrorists. Saleh's current refusal to act bolsters the claim of one of Hitar's former students: "We all understood that it was just extortion to take money from the Americans. They were just playing with us." The Saudi Arabian government also faced skepticism from its prisoners when it first began the Munasaha (advisory committee) initiative in its prisons in 2004, but since then, it has managed to convince detainees that the scholars who run the program are respectable clerics rather than government puppets. The kingdom's overall strategy goes in English by the name PRAC for Prevention, Rehabilitation, and AfterCare and includes lectures arranged by the Ministry of Education as well as published material condemning violence along with government-sponsored programs aimed at deterring citizens from radicalism. Exactly how this is accomplished is not entirely clear, as the Wahhabi interpretation of Islam which serves as a basis for all these efforts, is arguably one of the most extreme versions of the faith as well as the official religion of Saudi Arabia. For example, the state cannot condemn jihad itself as the concept is rooted in the Qur'an. Instead, Saudi clerics employed by the PRAC initiative are forced to stipulate conditions under which it is acceptable to take up arms instead of fully denouncing the practice. The Munasaha program is conducted in Saudi prisons, which have been updated to fit the needs of jihadist detainees. New prisoners are interviewed and examined for psychological problems, and their individual belief systems are evaluated. Unlike typical prisons, each cell contains a television that transmits religious lectures, and the inmates are able to debate opinions with scholars via intercom. The Saudis claim that from 2004 to 2007 only 3 to 5 percent of parolees in the Munasaha program have returned to extremist action, but it must be noted that the initiative itself is self-selecting. Reliable statistics have not been made available, and there are reasons to think the Saudis may want to present a positive image for themselves, given their vulnerability to the charge that their own clergy are among the most extreme. Those who participate in the program are those willing to renounce their beliefs; many were new recruits to jihadist activity, and there is evidence to suggest they are as susceptible to persuasion by Munasaha counseling as they were previously to extremist mentors. Many in the program seem to have received a poor religious education, unlike the hard-line jihadi leaders captured outside of the country and transferred to Saudi hands from Guantánamo. In 2007, counseling for terrorists expanded in Saudi Arabia to several halfway houses, collectively known as the Care Center, for post-prison continuation of rehabilitation. In November 2008, Katherine Zoepf described the grounds of the center, which included swimming pools, volleyball courts, PlayStations, and ping pong tables. Upon arrival, detainees are given clothes, watches, and candy bars to ensure their comfort. Classes are offered which break down terms such as jihad and takfir (condemning fellow Muslims as unbelievers) in ways that match the Saudi government's definition of "correct" Islam (which views many non-Wahhabi Muslims as heretical). Instead of forbidding jihad, for example, the program teaches the conditions under which it is acceptable (i.e. with the approval of the Saudi government and the permission of one's parents). Family members are encouraged to visit the facility, and both the detainee and a family member must sign a pledge renouncing violence before the prisoner's discharge. On release from the program, the detainee is given several thousand dollars, a car, and sometimes additional money for marrying. Those deemed to be successfully reformed are encouraged to return to the Care Center and share their stories with those currently enrolled in the program and mentor prisoners. Should a parolee return to violence, the entire family may be punished. When "graduates" Muhammad al-Oufi and Said al-Shihri appeared in an Al-Qaeda video in January 2009, their families immediately released statements denouncing them as "irreversible deviant members of society. " In the video, Oufi specifically mentioned the program, warning of the Saudi attempts to reform extremists: "We warn our fellow prisoners [from Guantánamo] about this Care program ...We were used ...They tried to lead us away from Islam. But thank God, we were able to escape their power." One Guantánamo returnee expressed disgust at Oufi and Shihri's actions, saying, "They have forgotten the effort extended by the state to set them free. They [should] have been very grateful and thankful to the government for the confidence it has placed in them instead of biting the hand extended to them. It shows that they are untrustworthy and don't deserve this generous and noble treatment." The Care Center program initially boasted a low recidivism rate. Then, in early 2009, the Saudis released a list of eighty-five wanted terrorism suspects, eleven of whom were graduates of the counseling initiative. Saudi officials remain convinced that their program works and note a recidivism rate of 10-20 percent,  a number some claim is inflated in part by the higher percentage of hard-line radicals who have come straight from Guantánamo Bay and by the inclusion of those who have failed or refused to participate in the program but remain detained. A low recidivism rate would be of real significance, given the central role of Saudi radicals in international jihad. But it is not clear how graduates of the program who are not recidivists are able to retain their commitment to moderation while living within normal Saudi-Wahhabi society, a society that is openly tolerant of levels of extremism that would be troubling in the West. Despite this, in July 2009, the U.S. Department of Defense and Department of Justice commended the Care Center for its efforts at de-radicalizing detainees. It is unclear what was behind this public praise, fueling speculation that the Obama administration was seeking a quick way to fulfill its pledge to empty Guantánamo by January 2010. The U.S. military contends that the programs it has developed have yielded positive results. Initially, U.S. military officials admitted that the detention centers they operated were breeding extremists; captured terrorists acted as recruiters and were turning formerly moderate detainees into radicals. The development of a rehabilitation program inspired by the Saudi model quickly followed this discovery. Task Force 134, the outfit charged with overseeing coalition detainee operations, staked out a new approach intended to incorporate detention into the broader U.S. counterinsurgency strategy. The plan hinged on tactics that sought to segregate extremists, nurture moderates, and ensure first-rate care and custody for every detainee. Each incoming detainee now undergoes a thorough background check, and psychologists analyze education, skills, motivation, and religiosity, enabling authorities to separate recruiters, who may be looking for prisoners to radicalize, from the other inmates. Task Force 134, which oversees two camps for detainees, offers more than the theological debates upon which other rehabilitation programs depend. Alongside religious discussions conducted by U.S.-vetted Iraqi imams, Iraqis are taught to read and write (64 percent were found to be illiterate), enabling them to read the religious texts for themselves for the first time. They also follow a curriculum that includes English, mathematics, and other foundational classes. Work programs are another important feature of the Task Force 134 program, training Iraqis in fields such as carpentry, masonry, welding, and textile manufacturing. According to the U.S. government, this education initiative has proven immensely successful; Iraqi parents whose children have not been detained "have petitioned to enroll [them] in the program," and some detainees have stayed past their release dates to finish their studies. Between January and September 2008, approximately one hundred detainees were recaptured out of the over fifteen thousand released from the "Anti-Jihad U" (as some troops refer to the program). Major General Douglas Stone, formerly responsible for both camps, cited a recidivism rate of detainees released early in the program's evolution at about 10-15 percent; however, in March 2009, he claimed the rate had plummeted to about 1 percent, a remarkable drop that should, perhaps, be viewed skeptically. The issue of releasing radical detainees into societies in which Muslims are a minority poses a separate set of problems. After the 2001-02 arrests of more than thirty members of the Southeast Asian branch of the terrorist group, Jemaah Islamiyah (Islamic community), who were plotting attacks in Singapore, the government there founded the Religious Rehabilitation Group (RRG) to de-radicalize these terrorists. With a Muslim population of 16 percent, Singapore chose to act cautiously when rehabilitating offenders, working on amending their beliefs instead of administering harsh measures. Nearly forty Islamic scholars and religious leaders make up a group dedicated to "deprogramming" detainees. By approaching the jihadists on religious terms, the RRG seeks to treat the problem at its root. As one security officer explained, "Once you have taken an oath of God, it will take another man of God to undo it." Counselors hold one-on-one sessions with inmates to challenge radical ideologies and meet with detainees' families to ensure extremism has not "infected" other relatives. The government provides financial support for families, secures jobs for the detainees once they are freed, and requires counseling after release. Forty former terrorists (two-thirds of detainees since 2001) have been rehabilitated and released, and as of May 2009, it seems none have returned to extremist activities. The remaining third, deemed unready to reenter society, have been kept in the program. If these figures are valid, they would suggest that Singapore's system is moderately effective. According to William Dobson, former managing editor of Foreign Policy, "A detainee in Singapore is not released until his case officer, a psychologist, and the religious counselor signs [sic] off. Even then the decision goes to the prime minister's cabinet to give its approval." Furthermore, Singapore's privacy laws allow for greater monitoring of individuals and help the government keep tabs on those released. Unlike programs in Muslim-majority countries and Singapore, or U.S. efforts in Iraq, the detoxification program developed in Great Britain is geared towards preventive measures before high-risk individuals resort to violence. Its success is even harder to determine since there is no clear way of measuring whether someone with jihadist sympathies would have actually crossed the line into terrorism. The Channel Project, an English initiative developed in 2007 and run by the Association of Chief Police Officers, began in Lambeth (a section of London) and Lancashire and has expanded to eleven (soon to be fifteen) sites across the United Kingdom. According to the British Home Office, more than two hundred individuals (some as young as thirteen, others as old as fifty) have been referred to the program, which they state involves police officers working alongside members of Muslim communities to identify those who seem particularly vulnerable to the teachings of Muslim extremists. The project first came to the public's attention when a teenager publicly detailed how he had been "groomed" for jihad in a south London mosque. Along with forty-five other young men, the youth received rehabilitation sessions in an educational center attached to the same mosque in which he was first recruited for jihad. The authors of the program state that it is designed to address not only the version of Islam that was taught to the youths but also includes activities designed to combat feelings of "estrangement from family or community," this despite mounting evidence that would-be and actual U.K. jihadists were integrated into British society. There are additional concerns about which instructors the British authorities may have chosen to steer the detainees away from radicalism. Tariq Ramadan, for example, whose bona fides as a "moderate" have been sharply challenged, was hired by the government following the 7/7 London bombings to argue against terrorism to U.K. Muslims. While there are claims that as of June 2009, none of those individuals referred to the Channel Project has gone on to commit an offense, this is scarcely enough time to accurately assess the program's success. More telling is a recent report that many incarcerated British Muslims are refusing to participate in rehabilitation sessions or court-ordered courses dedicated to affecting attitudinal and behavioral changes in a detainee. As one prisoner explained, "It is an established concept within the Sharia that a Muslim must not speak about the haraam—prohibited things—and certainly should not advertise past mistakes to their peers." Meanwhile, there are reports that Muslims in British prisons are converting others and taking control of various criminal matters. Notwithstanding the uncertain efficacy of the Channel Project, the Scottish Preventing Violent Extremism Unit decided to develop its own "tartanised" version of the program. In addition to radical Muslims, the program will target those "lured into other forms of political violence, such as fanatics on the fringes of Scottish nationalism or the animal rights movement." Project organizers hope that community members such as teachers and parents will refer suspects for "interventions." It is far from clear how successful such a program can be as it lumps together populations susceptible to the promptings of religious figures with secular groups like the League Against Cruel Sports (anti-fox hunting). On the other side of the Atlantic, Sheikh Sayyid Ahmed Amiruddin presented a 12-step detoxification program to members of various Canadian Muslim communities and the Royal Canadian Mounted Police in December 2008. Amiruddin, a Sufi cleric, has been a vocal critic of the Wahhabist interpretations of Islam inserted into Qur'ans imported from Saudi Arabia and has himself been criticized by his compatriots for betraying Canadian Muslims. The project emphasizes the importance of peace and tolerance in a secular community like Canada and counsels against "a narrow-minded brand of the faith." The plan was sponsored by Mohammed Shaikh, the imam of Toronto's Al-Noor mosque, who speaking of Muslim radicals stated: "Those addicted to alcohol are locked within a certain thinking pattern that makes them rely on alcohol. The same applies to extremists who can only think about events around them in one way." Shaikh and Canadian Muslim convert Robert Heft have used Amiruddin's strategies in their Specialized De-radicalization Intervention Program to stress interfaith acceptance and show that Al-Qaeda's teachings are theologically incorrect. The steps included in the Heft detoxification program are intended to promote understanding of other religions and explain how extremists misinterpret events in Islamic history to promote their agenda. Some of these steps include "using verses from the Holy Koran that speak of peace and good conduct"; learning about Muhammad's "mercy, kind manner, humble attitude, wisdom, patience"; "using hadith … that provide ethics and other moral training"; exploring stories from history to see the "contexts and underlying factors, not always [to the] glory of God"; and exploring the "interconnectedness of Judaism, Christianity and Islam." Heft and Shaikh hope members of the Toronto 18, a terrorist group that planned to carry out a three-day bombing assault across Canada, will be referred to the program upon their release from prison. They hope to reintegrate these jihadists into Canadian society. Although the program has received coverage from several Canadian newspapers, no recidivism rate has been published, as it has not officially released any graduates. This makes it impossible to evaluate the effectiveness of the program. The question for the U.S. government grows ever more pressing: When Guantánamo Bay closes, where should these detainees be sent? And can the urge to return to violent action actually be suppressed by ideological counseling? While it seems de-radicalization programs are helping to ease jihadist detainees back into society, former prisoners may still possess ideological sympathies for terrorist groups and subsequently fall back into earlier, radical behaviors. The Saudi program, previously praised by policymakers, has recently come under fire. Said al-Shihri, a Saudi program "graduate" and former inmate at Guantánamo Bay, is the deputy leader of Al-Qaeda in Yemen and has been linked to the attempted airline bombing of a Detroit-bound airplane on Christmas day. Even if the Saudi program were considered an unequivocal success, not all countries can afford resource-intensive initiatives like the Saudi Arabian "aftercare" program. Additionally, there is the issue of the nature of the Islamic norm that released prisoners are expected to follow and how that might impact global security. The Saudi model, for example, is based on a Salafi perspective, which has its own narrow version of who is and is not a kafir (apostate) and how such reprobates should be treated. The programs developed in Muslim-minority countries may become serious assets in efforts to combat homegrown radicalism. Graduates do not face quite the same temptation of returning to, or even taking up, violent action that they might encounter in Muslim-majority states. Nevertheless, pressures are there as long as the Muslim communal institutions in these countries vacillate between rejecting jihadist ideologies and sympathizing with their long-term goals. Government-provided figures on recidivism and signed pledges are not accurate gauges for the success of de-radicalization efforts. The few success rates published by authorities cover such a short period of time as to be close to meaningless. Accurate numbers collected over a prolonged period of time may eventually offer a truer measure of achievement or failure but without a way of comparing the behavior of those who have undergone these programs with those who have not, assessing success rates becomes an unconvincing exercise. Monitoring of parolees' associations and Internet activities may, to a degree, help determine the success of these programs, but ultimately, the primary way to measure how many detainees leave the programs still radicalized and dedicated to violence is if they resort to violence. While the limited data would indicate that the majority have not, they can continue to support jihad in other nonviolent but effective ways: Groups such as Al-Qaeda will always need recruiters and fundraisers to help run their operations. Other parolees may seek the path of "soft jihad" by engaging in frivolous lawsuits against opponents, shutting down forums for free speech and criticism, invoking hate speech laws, and working to impose Shari'a in Western nations. By attacking the problem from both ideological and societal perspectives, these programs may be aiding counterterrorism efforts. Time will tell as to their effectiveness. A healthy amount of skepticism needs to be maintained before any program can be credited as a cure for jihad. Katherine Seifert is an undergraduate at Bryn Mawr College and an intern at the Middle East Forum. The Straits Times (Singapore), Aug. 3, 2009. Nicole Stracke, "Arab Prisons: A Place for Dialogue and Reform," Perspectives on Terrorism, 2007, no. 4. The Guardian (London) July 27, 2007. The Straits Times, Aug. 3, 2009. Holly Fletcher, "Jamaat al-Islamiyya," Council on Foreign Relations, May 30, 2008. Kevin Peraino, "The Reeducation of Abu Jandal," Newsweek, May 29, 2009. The Yemen Times (San'a), Aug, 12, 2009; Gregory D. Johnsen, "Yemen's Passive Role in the War on Terrorism," Terrorism Monitor (Jamestown Foundation), Feb. 23, 2006. Peraino, "The Reeducation of Abu Jandal." The Yemen Times, Aug. 12, 2009. Time Magazine, Jan. 7, 2010. Lawrence E. Cline, "Changing Jihadist Behavior: The Saudi Model," Small Wars Journal, Apr. 10, 2009. Christopher Boucek, "Saudi Arabia's 'Soft' Counterterrorism Strategy: Prevention, Rehabilitation and Aftercare," Carnegie Papers, no. 97, Carnegie Endowment for International Peace, Sept. 2008. The New York Times, Nov. 7, 2008. Shiraz Maher, "A Betty Ford clinic for jihadis," The Sunday Times (London), July 6, 2008. Stracke, "Arab Prisons: A Place for Dialogue and Reform." Cline, "Changing Jihadist Behavior: The Saudi Model." The Saudi Gazette (Riyadh), Jan. 29, 2009, accessed Oct. 11, 2009. Kelly McEver, "They Tried to Make Mohammed al-Awfi Go to Rehab," freedetainees.org, accessed Feb. 3, 2010. The New York Times, Feb. 3, 2009. Boucek, "Saudi Arabia's 'Soft' Counterterrorism Strategy." "U.S. Officials Commend Saudi Detainee Rehabilitation Program," Royal Embassy of Saudi Arabia, Washington, D.C., July 8, 2009. Jeffrey Azarva, "Is U.S. Detention Policy in Iraq Working?" Middle East Quarterly, Winter 2009, pp. 5-14. Judith Miller, "Anti-Jihad U.," City Journal (New York), May 2, 2008. Azarva, "Is U.S. Detention Policy in Iraq Working?" The Malaysian Insider (Singapore), Mar. 22, 2009. Valerie Chew, "Jemaah Islamiyah's bomb plot against diplomatic missions in Singapore, 2001/2002," Singapore Infopedia, National Library Board Singapore, Jan. 20, 2009. "About RRG," Religious Rehabilitation Group, Singapore, accessed Oct. 12, 2009. William J. Dobson, "The Best Guide for Gitmo? Look to Singapore," The Washington Post, May 17, 2009. The Prevent Strategy: Guide for Local Partners in England (London: U.K. Home Office, May 2008), p. 28. The Independent (London), Mar. 28, 2009. The Sunday Times, May 17, 2009. The Prevent Strategy: Guide for Local Partners in England, p. 28; The Sunday Times, May 17, 2009. See for example, The Telegraph (London), Nov. 8, 2008. Stephen Schwartz, "Tariq Ramadan Repudiated," The American Thinker, Aug. 28, 2009. The Guardian, Aug. 31, 2005. Scotland on Sunday (Edinburgh), June 14, 2009. The Telegraph, Jan. 11, 2010. BBC News, Mar. 12, 2010. Scotland on Sunday, June 14, 2009. Little Green Footballs, June 9, 2006. The Toronto Star, June 3, 2009. AlArabiya.net (Dubai), Mar. 11, 2009. CBS News, July 20, 2006; AlArabiya.net, Mar. 11, 2009. National Post (Don Mills, Ont. ), Feb. 11, 2009. The Toronto Star, June 23, 2009. Related Topics: Counter-terrorism, Radical Islam | Spring 2010 MEQ receive the latest by email: subscribe to the free mef mailing list This text may be reposted or forwarded so long as it is presented as an integral whole with complete and accurate information provided about its author, date, place of publication, and original URL.